Located on the southeast coast of Port Villa, Eratap Beach Resort is a stunning Vanuatu resort that has been wowing travellers for decades. The 4 star luxury resort features an incredible location surrounded by eight acres of tropical gardens, private beaches and spectacular coral reefs. The resort has received countless awards and has also been ranked as the no.1 Vanuatu Resort on Trip Advisor for eight consecutive years. The Eratap Beach Resort features 14 luxury beachfront villas with panoramic ocean views and luxurious interiors. 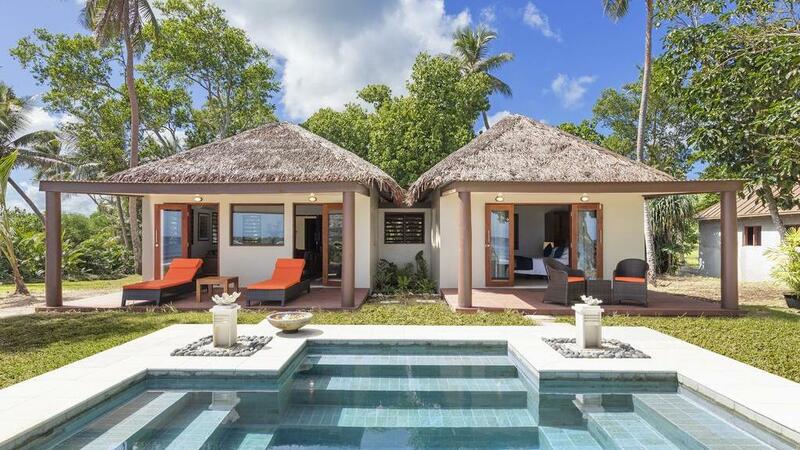 There are 8 different styles of villas to choose from including beautiful beachfront villas, honeymoon villas, and deluxe villas with your own private pool and beach pavilion. The villas can accommodate 2-6 guests. The resort also features an incredible range of facilities including a resort style swimming pool, luxurious day spa and beachfront restaurant to take care of all your holiday needs. Set on the golden sand shores, with views out to Castaway Island, the onsite restaurant serves up a mix of local and international cuisine using fresh local ingredients. Guests can relax and unwind as they enjoy a delicious meal on the terrace, under the stars or on the sand itself. The Eratap Beach Resort offers guests incredible value for money and includes a huge range of recreational facilities completely free of charge. Complimentary activities include kayaking, fishing, bushwalking, surfing, snorkelling, stand up paddle boarding and cycling. The resort also offers game fishing and scuba diving for an additional fee. To book your next holiday at The Eratap Beach Resort, visit our accommodation page.